MODERN CLASSICS WITH A BOHEMIAN INFLECTION: THIS IS THE ETHOS BEHIND MARNI, FOUNDED BY CONSUELO CASTIGLIONI IN 1994. 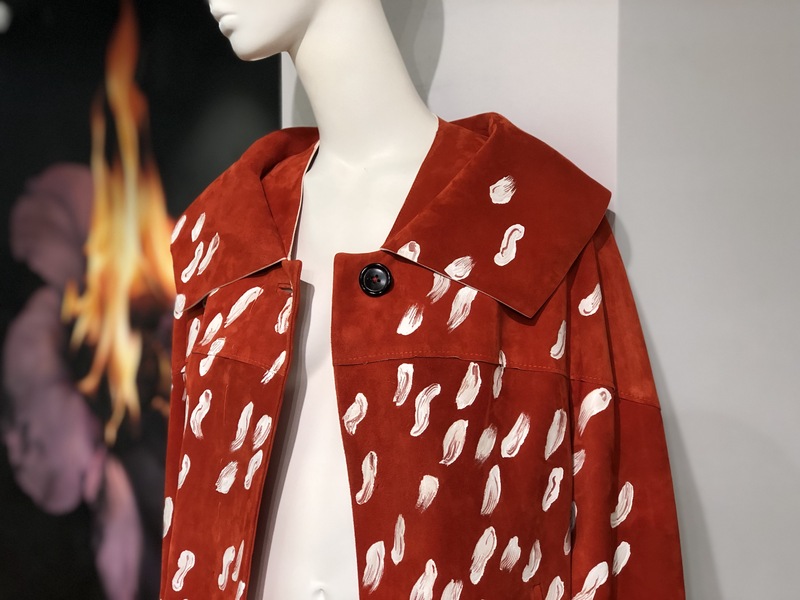 EVOKING INFLUENCES FROM CLASSIC MILITARY UNIFORMS TO COLORFUL, 1970S-INSPIRED RETRO COLOR STORIES AND TRIBAL STENCILED PATTERNS, MARNI’S WOMENSWEAR IS REMARKABLE FOR ITS “TWISTED FEMININITY” AND DISTINCTIVELY TOMBOYISH GLAMOUR. THE ITALIAN HOUSE STAYS TRUE TO ITS HISTORY WITH MASTERFUL APPLICATIONS OF STATEMENT LEATHERS AND FURS FROM PYTHON TO SHEEPSKIN, ROUGH-HEWN IN DELIBERATE SILHOUETTES PRIME FOR STYLE-SAVVY LAYERING. THE MARNI WOMAN IS EMPOWERED BY STRUCTURAL CONSTRUCTIONS, SOFTENED BY FREE-SPIRITED PLAY WITH LUXURIOUS MATERIALS.